A fund was established in 2007 for the scholarship in the memory of A.D. Wheat. Mr. Wheat was an Agriculture Science teacher at Cleburne High School for over 40 years and touching lives of many young men and women during his years as a teacher. His influence on young people did not end with his retirement in 1982. Mr. Wheat founded Good Deeds. Inc., continuing to work with young people. Mr. Wheat also spent many years with Christian Heritage Foundation. He was one of the most recognizable and loved men in Johnson County. The Brad Johnson Scholarship is named in the memory of the son of Mr. and Mrs. Benny Earl Johnson. Brad, a Cleburne High School student, lost his life in a hunting accident. Friends of the family wanted to establish the memorial that would honor both Brad and his family. Benny Earl (Brad's father) was a long time supporter of the Johnson County Livestock Show and had been the sale auctioneer for many years. The first Brad Johnson scholarship was given in 1984. The Crystal Lilly Scholarship was established after the loss of Crystal Lilly in an auto accident on January 12, 1997. Crystal, daughter of Joe and Donna Lilly, was an active Cleburne FFA member and Johnson County 4-H member. She was enrolled at Trinity Valley Community College at the time of her death. Crystal had taken part in the Johnson County Junior Livestock Show since she was old enough to participate. She exhibited lambs, swine, and dairy animals and was very successful in each species. It was only natural that friends of the family chose to establish the scholarship in her memory. Must be in Senior Division Showmanship. Winner can enter more than once, but only once under the same judge. The Exhibitor must own and exhibit their own animal in the class. The winner must give proof of enrollment in institution of higher learning to receive the $1000 scholarship. As lifetime residents of Johnson County and years of involvement in the agricultural community, Glenn and Janie Junge established this scholarship in 2013. Their children and grandchildren have actively participated in the Johnson County Junior Livestock Show and benefited greatly from their experiences. This scholarship is intended to assist a Johnson County youth in continuing their education. The Kristopher Thetford Scholarship was established in the memory of Kristopher after he lost his life in an accident on August 21, 2000. The son of Mr. and Mrs. Jon Thetford, Kristopher had been a member of the Joshua FFA and had been a very competitive participant in the Johnson County Livestock Show. He had exhibited dairy heifers and swine to championship honors. Jon, Kristopher's dad, continues to serve on the board of directors of JCLAA. When considering a fitting tribute to Kristopher and his parents, the scholarship benefiting County Show exhibitors was established in his name. Jimmy and Claudia Atlas, together with their daughter Precious and her husband Sam Beaver, established a new scholarship in 2011 in memory of their fathers. Mr. Atlas and Mr. Worley loved youth and believed in the Johnson County Junior Livestock Show and Youth Fair as a family affair. The Sammy Atlas and Glenn Worley Memorial Scholarship will benefit a deserving young person of Johnson County to further their education. Tax deductible donations to any of these scholarship funds may be mailed the JCLAA address at any time and are greatly appreciated. 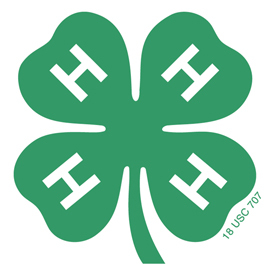 Click here to learn about available 4-H Scholarships!